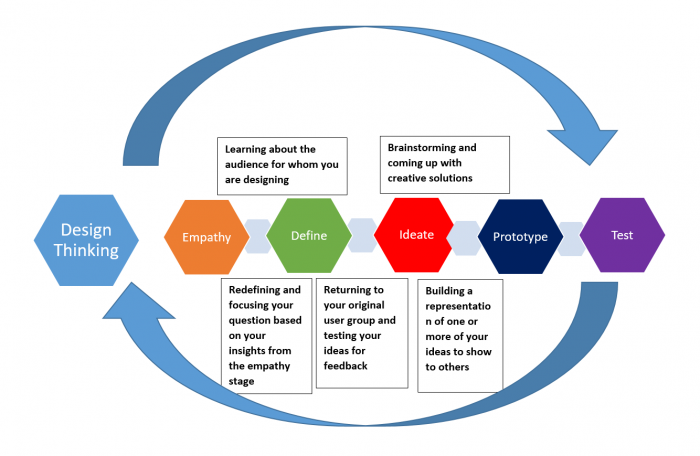 What is the Design Thinking Process? – ACC Interactive Media Arts Student Blog! What it it?/ How it Works? Any steps to help people to try and think this way? The first and main step is to try and find an understanding the problem at hand. Bring yourself into the environment to gain any needed understanding, because assuming will gain nothing. Once the “Define (the problem)” stage is finished, next is where ideas for prototypes start to rise. Literally whatever comes into mind, good or bad ideas are brought to the table. You will never know what kind of ideas will spring up to you or your possible group. As prototypes are being made, they are soon tested for their functionality. Should they fail, you continue to upgrade and fix any possible problems that may have sprung up or start a new set of ideas. Always gather feedback in all stages and if you have to go back to the drawing board, it just means more time to produce a product that will work best for the client. If this was useful to you, please leave a comment down below. If you have a story about how this kind of thinking help you in a project, I would love to hear it!